More than 4,800 households per year are moving from Broward and Palm Beach counties to the Treasure Coast, according to IRS data. New home buyers from Palm Beach, Broward and Dade counties are turning to the Treasure Coast in increasing numbers to get more home for the money, avoid congestion and enjoy more peaceful neighborhoods. Year over year data from the IRS reveals a 60 percent annual increase in families moving from the three South Florida counties to Martin, St. Lucie and Indian River Counties. In 2015, just over 3,000 households moved to the Treasure Coast from Palm Beach, Broward and Dade. That number increased substantially in 2016, jumping to 4,800. Conservative estimates suggest as many as 6,000 to 10,000 households could make the transition annually in the coming years. Those who have already made the move have noted affordable housing prices, safer neighborhoods and less traffic congestion as positive motivators. 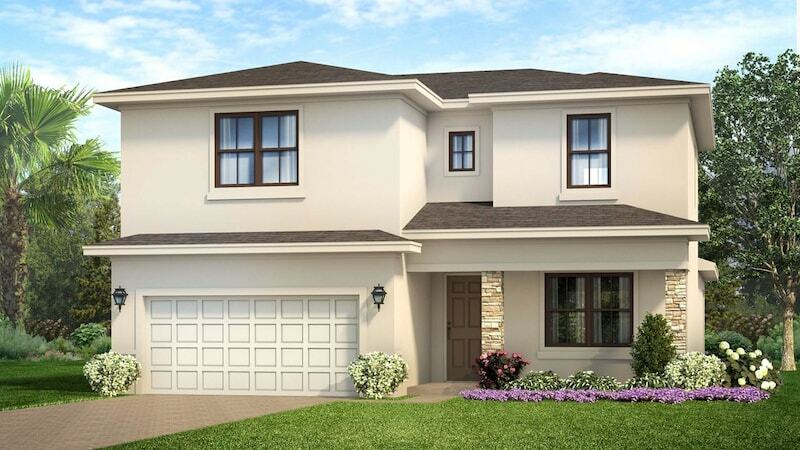 With home buyers looking for good deals, Port St. Lucie — in the heart of the Treasure Coast — offers some ideal options to Florida households. For instance, it only costs an average of $1,600 per month to purchase a brand new and beautifully designed three-bedroom home in the county. And that estimate includes taxes, insurance and homeowner’s fees as well as an idyllic resort-style environment, with a pool, a gym and a playground for the little ones. Comparatively, just to rent a three-bedroom apartment in Broward County costs significantly more, averaging about $2,400 to $2,600 per month. Beyond the affordable living costs, those looking for a relaxed pace of life welcome the less-congested and calmer reality of the Treasure Coast. Additionally, safe neighborhoods are an important factor. According to SafeHome.org, the coastal city of Port St. Lucie is among the safest in the entire country. As of last year, the city was also ranked as the third safest in the state of Florida. The gated community of Vizcaya Falls features a lakefront clubhouse, boat launch, beach and fitness trail and kids splash zone, among other amenities. 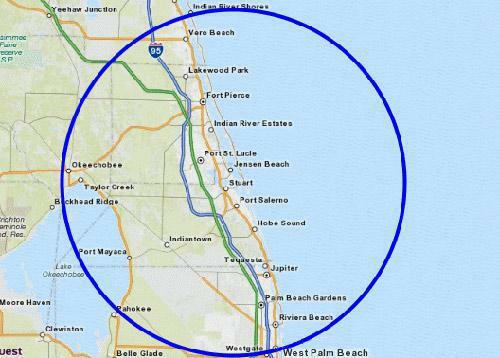 Depending on where individuals work, relocating to Martin, St. Lucie or Indian River may only add a few minutes to their daily commute. Even if it’s a more substantial amount of time, the comfort and affordable prices are a worthwhile trade off to many. Home buyers, particularly young families, often recognize a positive opportunity for their finances and a better environment for their children. Instead of paying high prices to rent, they can purchase their own home and give their children access to great recreational facilities, private pools and more play space to enjoy. At the same time, they can sleep easier with low crime rates and avoid the stress of more congested cities. 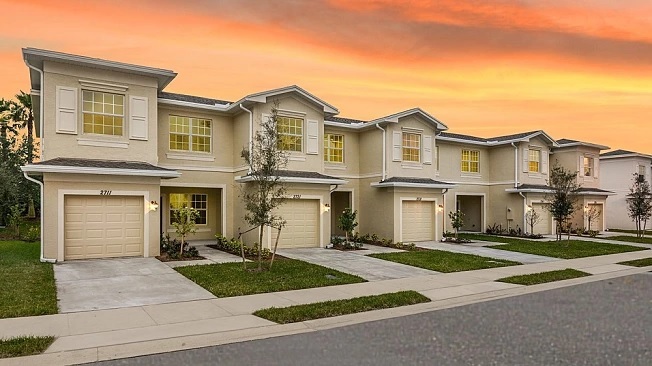 Home builder Kolter Homes has launched the Vizcaya Falls development in the city to accommodate the needs of young families and retirees alike. With three-bedroom town homes starting under $200,000, the American dream of owning a picturesque home in an idyllic location is within reach. The city also features 21-miles of incredible — and award-winning — white sandy beaches, world-class golf facilities and of course, the tropical breezes that make every day feel like vacation. With the trend clearly showing homeowners have recognized the many benefits of relocating to the Treasure Coast, there’s no better time to look at the options available. Those considering purchasing a home, however, should move fast before the market shifts. As the trend of South Floridians moving northward grows, some real estate professionals predict that both home prices and interest rates will increase in 2019. They advise that if you are considering a move, now is the time so you don’t miss the opportunity to find the perfect home for you and your family.